Parents go to great lengths to keep their babies happy and healthy. However, there’s one detail that many parents overlook – a baby’s skin. Life can be hard on skin, and baby skin is very sensitive. If you want to protect your infant’s skin, there are a few things you can do. Here are some tips for taking care of your baby’s skin. When your baby is first born, he might look a little dry and wrinkly. While you might be tempted to moisturize his skin, you shouldn’t. Every newborn comes out with a protective covering known as vernix. That skin helps a baby adjust to the transition from the womb to the real world. Without any help, it peels off on its own in a week or less. You don’t need to do anything to help it along; all you need to do is let it be. In the first week of your baby’s life, minimal skin care is necessary. If your baby was born after its due date, the vernix may not be present. It’s common for babies due after their due date to lose their outer covering in the womb. In this case, it’s fine to continue on to some of these other skin care tips. Your baby’s skin is pure. And the more you wash it with chemicals, the less pure it becomes. 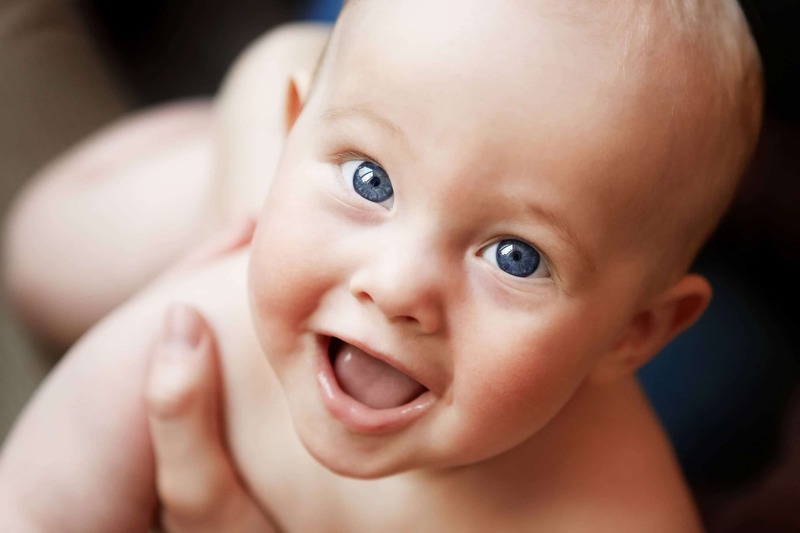 When your baby is born, he has natural oils that protect it from the harsh environment. Bathing your child too frequently removes those oils. As a result, his skin can become dry and vulnerable to bacteria. Another side effect of too much bathing could be an aggravation of eczema. You should limit your baby’s bath time to three times a week or less. Until your baby is one year old, you should continue this trend. Some parents worry that a lack of bathing could make their babies dirty. However, that’s not a valid fear. While your baby drools and has dirty diapers, there aren’t many other reasons your baby might be dirty. They aren’t getting into dirt or making a big mess. Even spit up can easily be cleaned with some water. Spot clean your baby with some water or a safe cleanser when you feel the need. Then, save bath time for two or three days a week. For darker skin tones, stick to bathing once a week. It’s not uncommon for a newborn to have eczema. If you baby’s skin has a red and itchy rash, there are a few things that you can do to help the situation. First, limit bathing to approximately once a week. Any more than that could aggravate eczema. You should also limit how much you use scented baby products. While this is a good tip in general, it can really help with eczema treatment. If your baby’s skin appears very dry, only use lotion on those dry areas. Using it on other areas of his skin can make eczema worse. Stick to a product with as few chemical ingredients as you can find, like Erbaviva baby cream. You should also dress your baby in soft clothing to lessen the abrasion on his skin. If none of these tips work well, talk to your pediatrician about treatment options. She may recommend an over-the-counter lotion or a prescription for one. Another common skin condition for babies is diaper rash. Fortunately, there are things you can do to prevent and treat it. Be sure to check and change your baby’s diapers frequently. As soon as your baby’s diaper is wet or soiled, change it. Avoid using harsh baby wipes; they may contain alcohol or perfume that aggravates diaper rash. Instead, use a soft cloth with water and don’t rub his bottom roughly. Consider using a soft organic washcloth, like the one made by Erbaviva. If your baby has a diaper rash, you can apply diaper cream. Erbaviva makes an organic diaper cream that soothes the rash but has an all-natural cream base. When you change your baby’s diaper, let the area air dry for awhile. Nothing is wrong with leaving your newborn diaperless for a little while. A massage is a great way to show your baby affection. And it’s also a great way to soothe your baby’s skin. Physical touch can help your baby fight disease and get better immunity to diseases. What’s more, it may even help your baby get a good night of sleep. You don’t need to be an expert to massage your little one. Lay your baby down on a soft blanket in a warm room. Using a warmed natural baby oil, rub your baby’s chest and belly. Sing a song while you gently rub for an even more calming effect on your child.